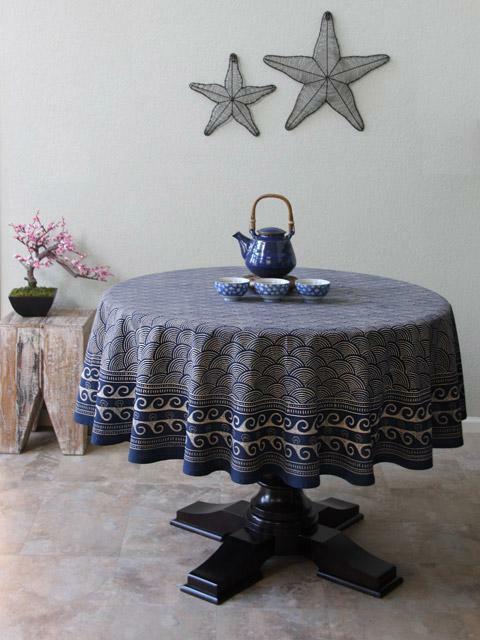 Oh, to be able to dine by the ocean, under a canopy of stars. 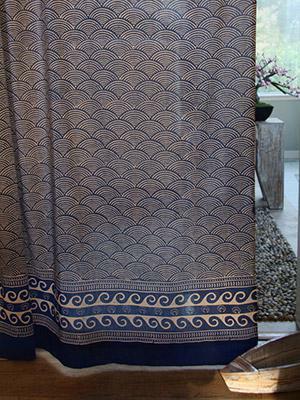 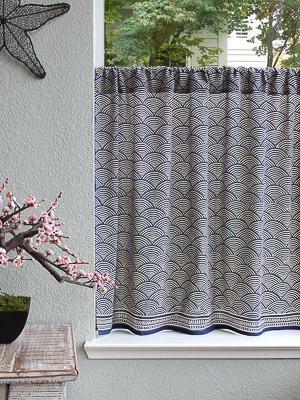 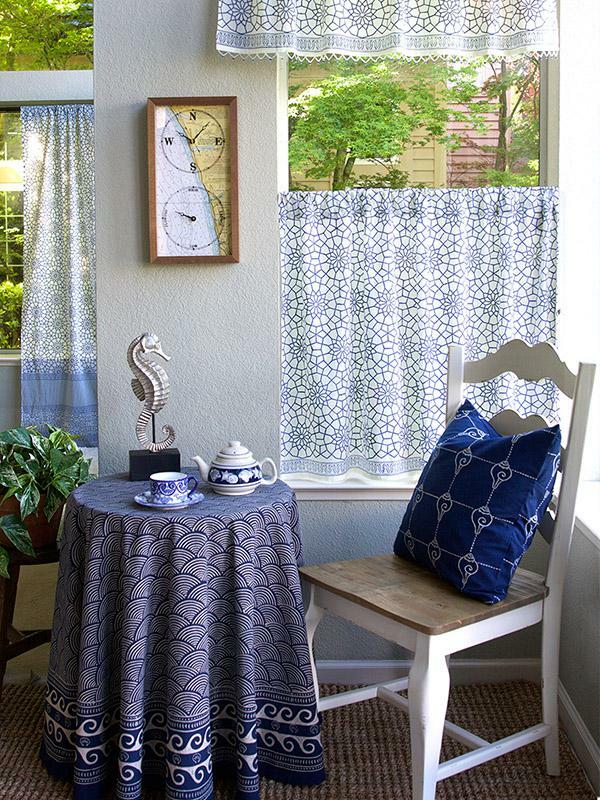 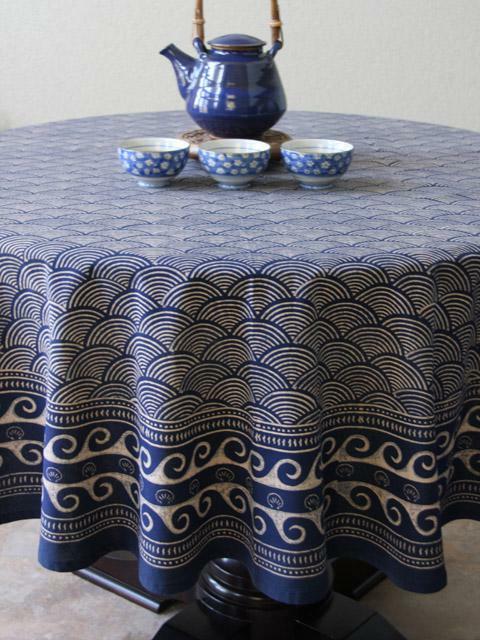 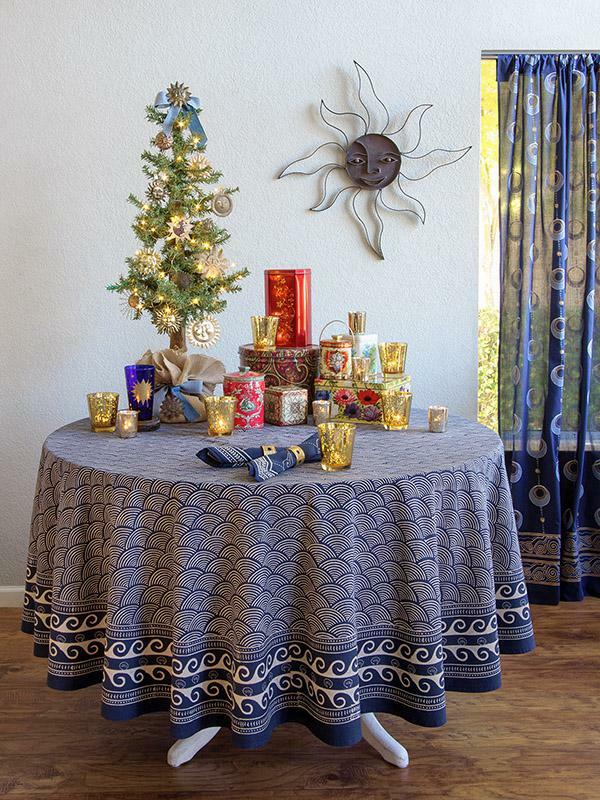 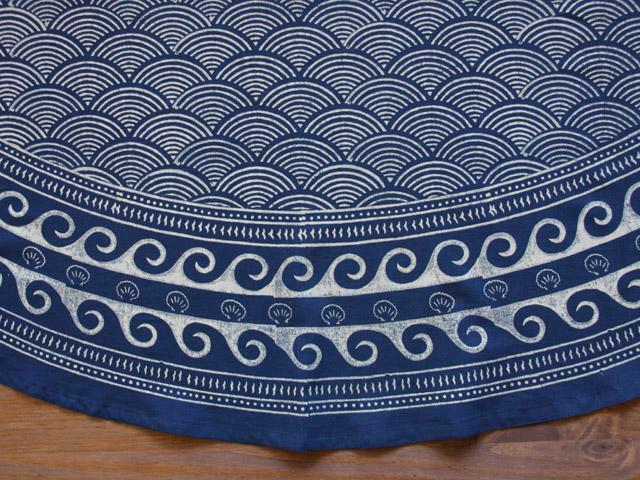 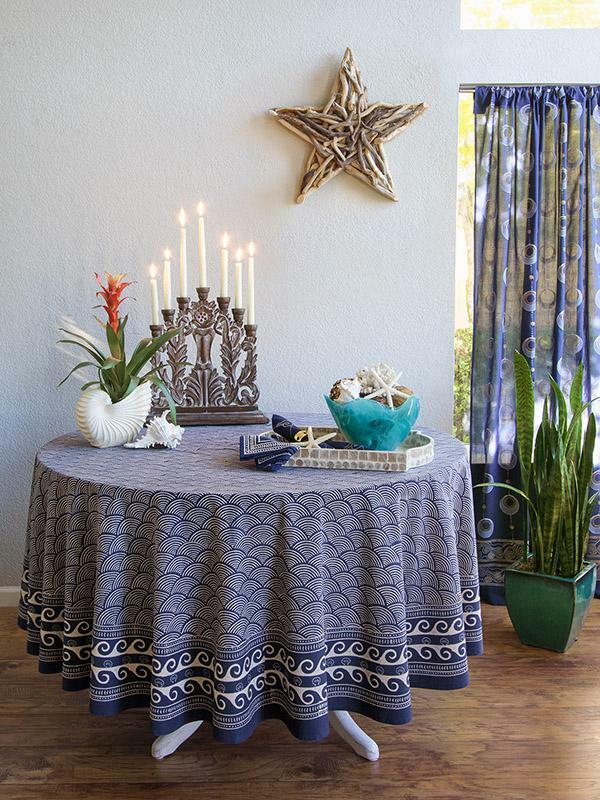 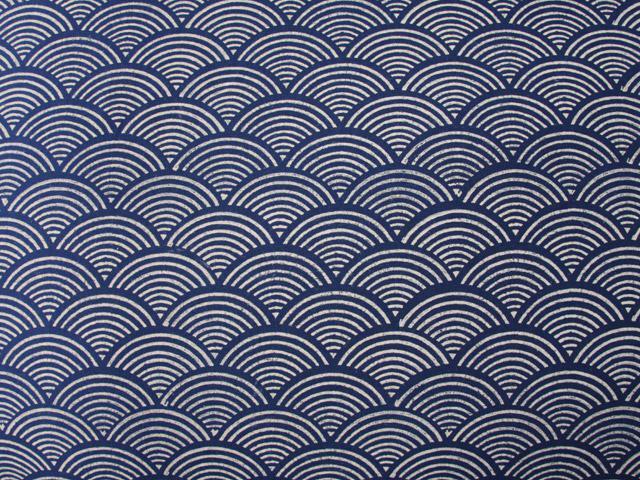 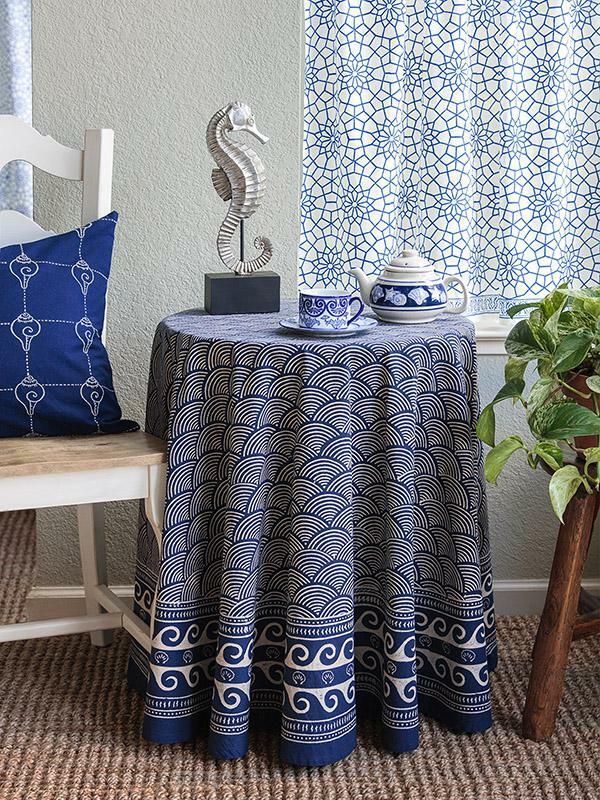 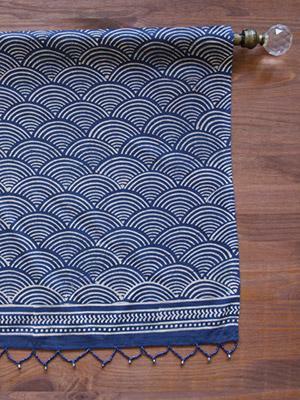 This magical experience can be yours when you use the Pacific Blue round tablecloth, with its calm undulating ivory waves ... [ read more ] grounded in deep navy blue and striking nautical themed border. 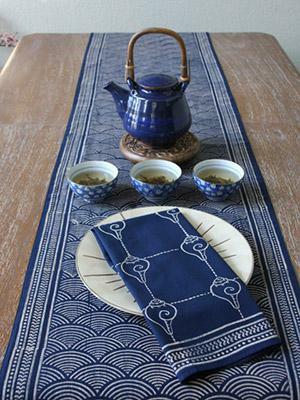 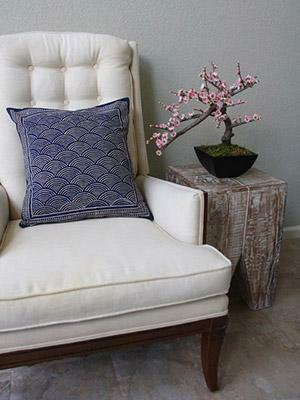 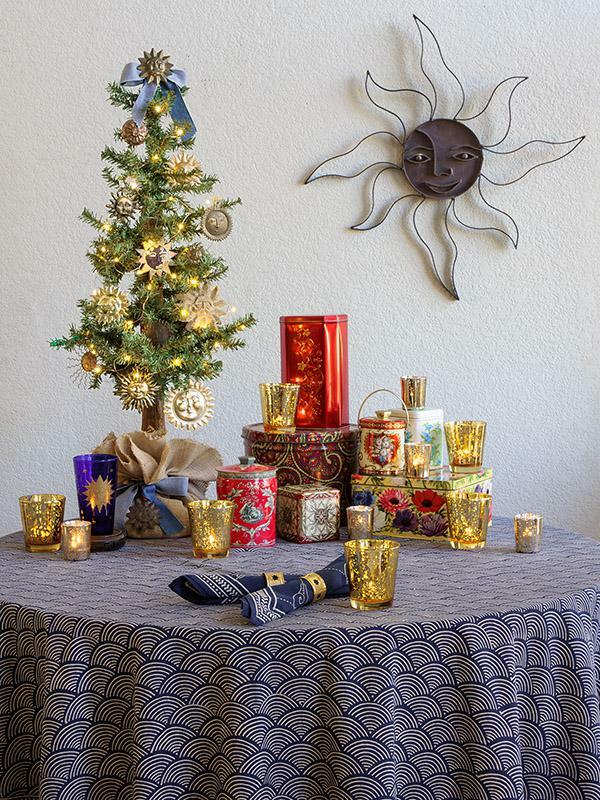 Coordinate it with rustic natural stone dinnerware, blue or white ceramic serving ware. 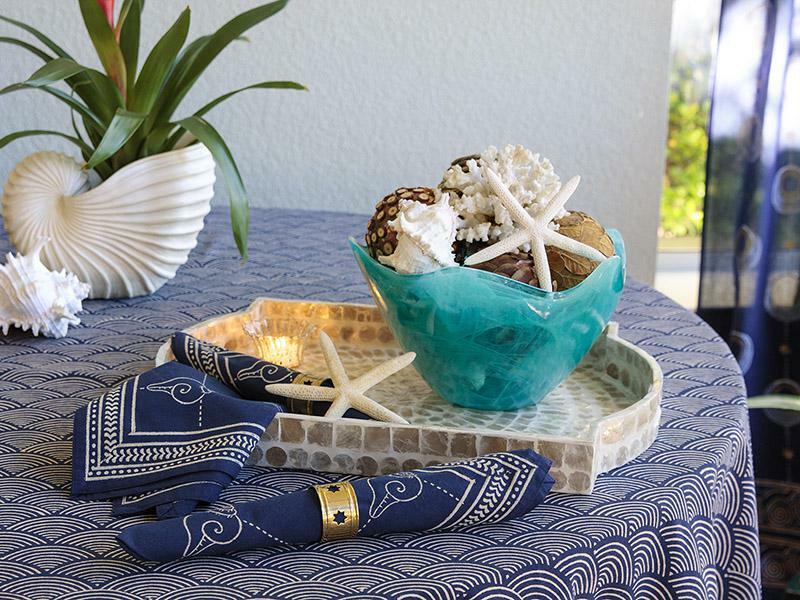 Add natural elements, such as a wooden bowl filled with sea shells or a moss covered rock planter and you have a table setting that is sure to whet your appetite like the salty ocean air.